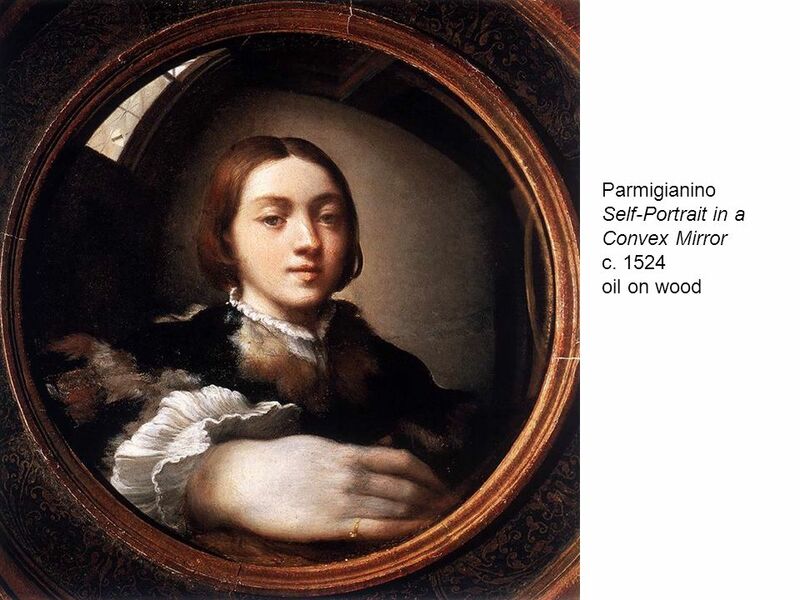 Download ppt "Maniera: intellectually intricate subjects highly skilled techniques art concerned with beauty for its own sake extraordinary virtuosity (the artist is." The music of Palestrina is associated with. the Counter-Reformation. exquisite technique and contrapuntal control. 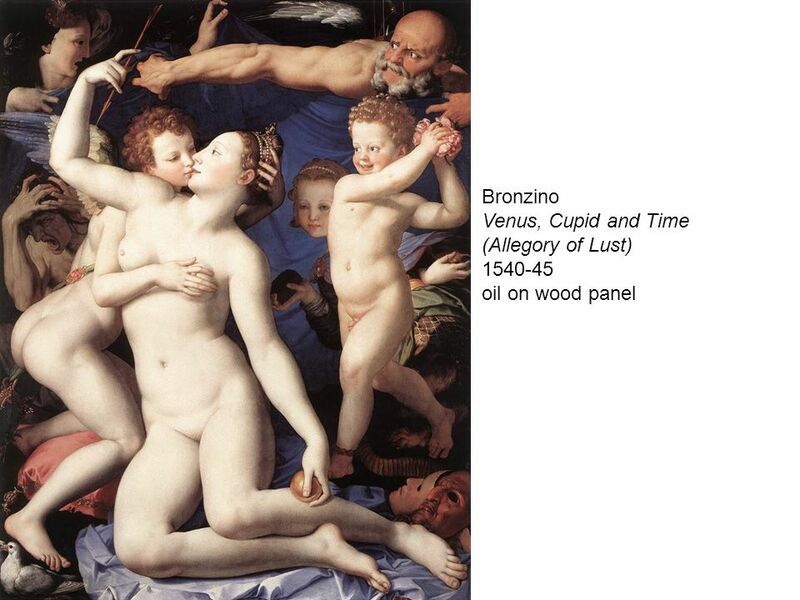 the late Renaissance Text painting is. Portraiture & Artist as Self and the Subject The Desperate Man, Gustave Courbet, Oil on Canvas, 17.7 x =45. 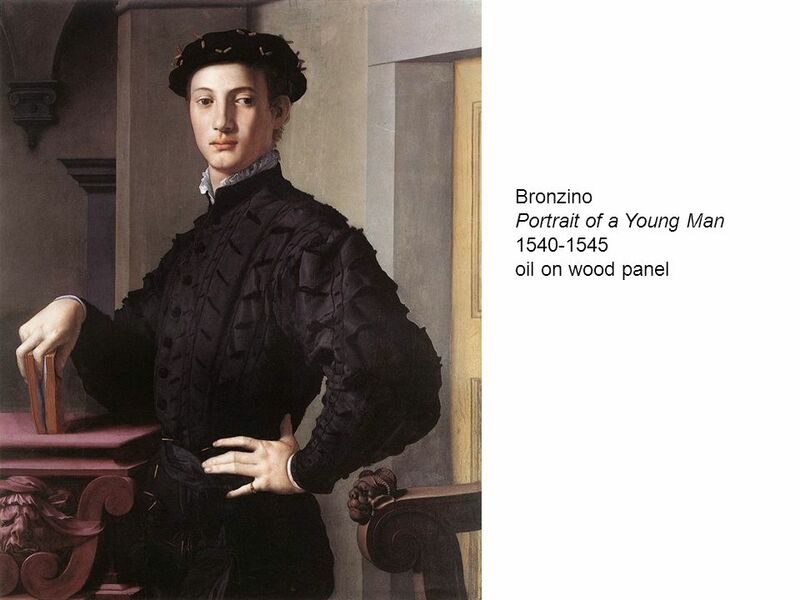 AP Art History Chapter 22 Italy, 1500 to 1600. 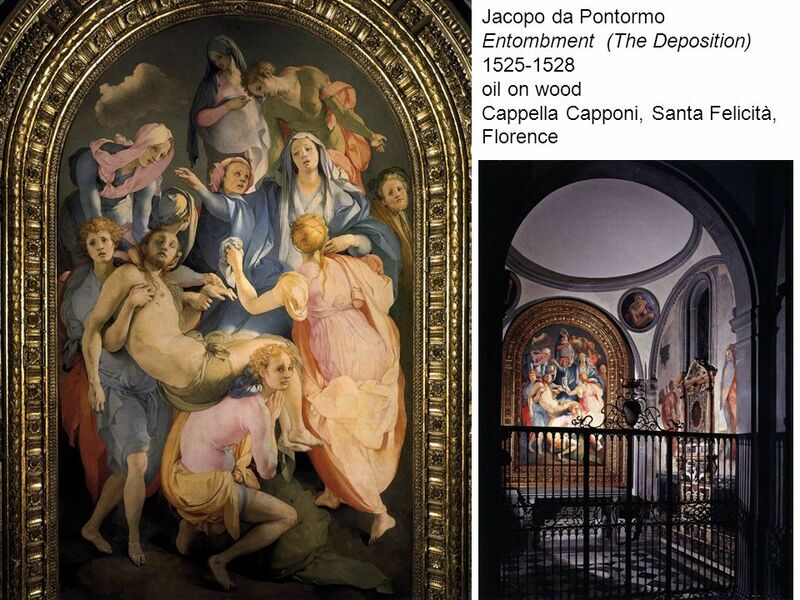 European Art & Culture in the 17 th Century Unit One/Ch. 15 AP European History. Raffael Spozalizio (The Engagement of Virgin Mary) 1504 Oil on roundheaded panel, 170 x 117 cm Pinacoteca di Brera, Milan. 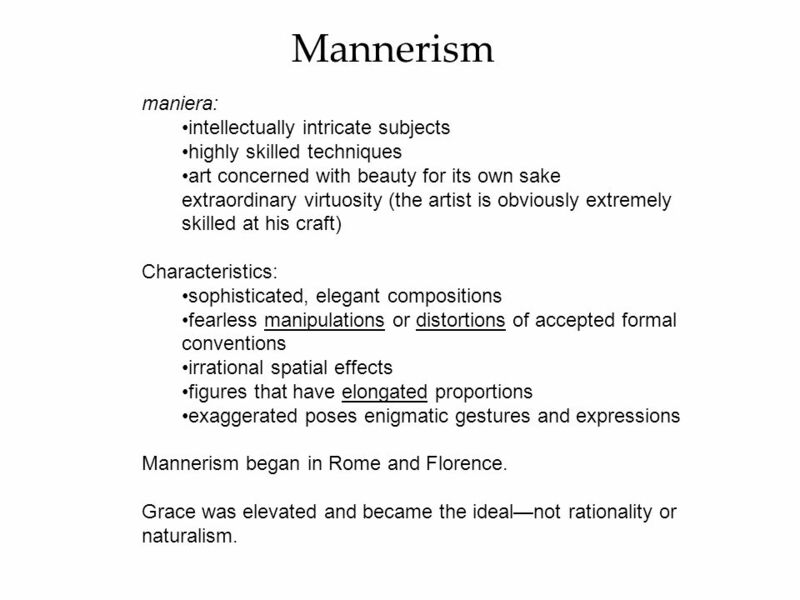 Mannerism MANNERISM Between the HIGH RENAISSANCE & the BAROQUE era, ART, especially Italian art, developed into a style known as MANNERISM. MANNERISM Rebels without a (united) cause. 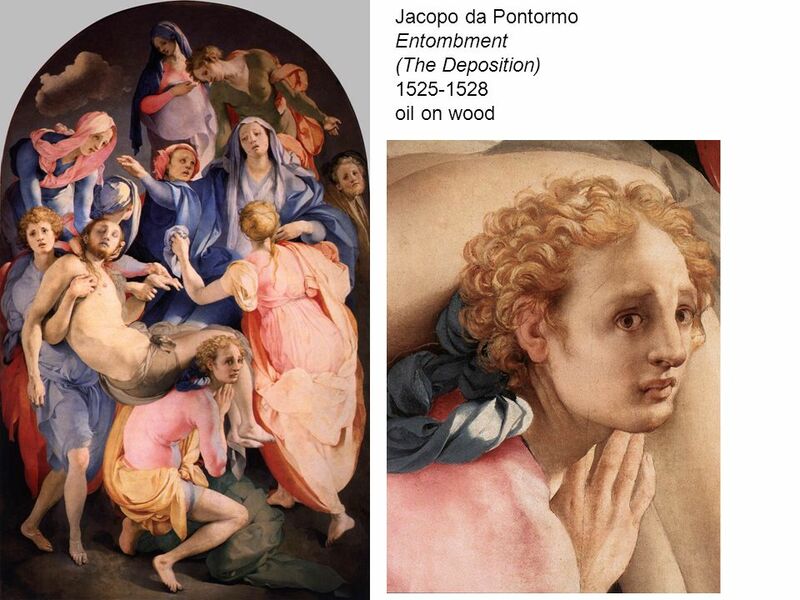 2 Figure JACOPO DA PONTORMO, Entombment of Christ, Capponi Chapel, Santa Felicità, Florence, Italy, 1525–1528. 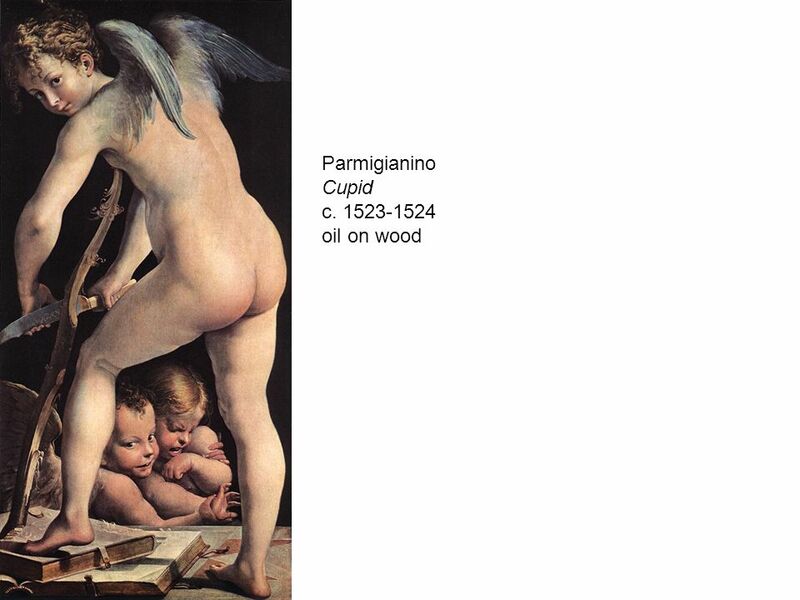 Mannerism & other Late Renaissance 1520s-1600 Intellectual Art The ideal world vs. the real world. Francisco de Goya and the Mirror’s Reflection Andrea Blanco. 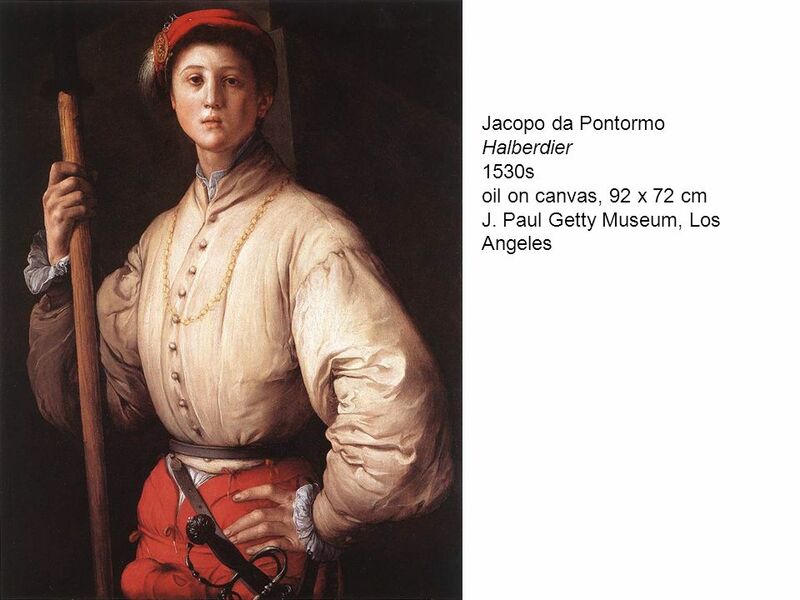 Mannerism Major artists: Fiorentino Parmigianino El Greco. Back to Italy – Color VENICE. GIORGIONE Tempest c Oil on canvas 82 x 73 cm p. 253. 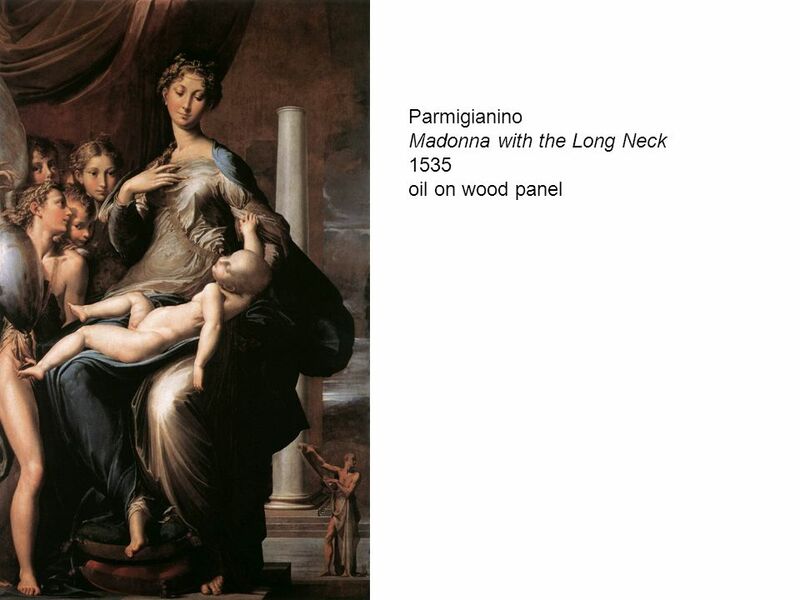 Renessansi maalikunst Itaalias CORREGGIO, GIORGIONE,TIZIAN, TINTORETTO, VERONESE.